Tasked with designing the Eixample, or expansion, of Barcelona in the mid 19th century, Ildefons Cerdà took an exhaustive approach to the major urban project. Cerdà was an urban planner whose knack for statistical analysis helped turn the once walled medieval city into the sprawling metropolis it is today. He based his extensive planning upon statistics gathered from myriad surveys including on social, demographic, housing, economic and environmental aspects of the existing city – emphasising their importance in cohesion in forming a highly functional city. Cerdà compiled his urban planning concepts in his 1867 text, The General Theory of Urbanisation, in which he also coined the term, urbanisation. Mark Burry, Professor of Urban Futures at Swinburne University of Technology, cites Cerdà’s approach to the expansion of Barcelona in 1859 as the first real application of the ‘smart city’ concept. “Cerdà’s book was released in three volumes and show the tables of data he gathered for the project. By using the information and data to improve the efficiency of a city and raise its sustainability he made it ‘smart’,” he says. While Prof. Burry asserts the idea of the smart city has existed in some form since Cerdà’s day, he explains the recent rise of the term ‘smart city’ and its associated civil effects is partly attributed to an influx of sensor-based technology. “Sensor technology and its compatibility with sensors around us is capable of drawing out large amounts of information and a lot can be done using that data,” he says. 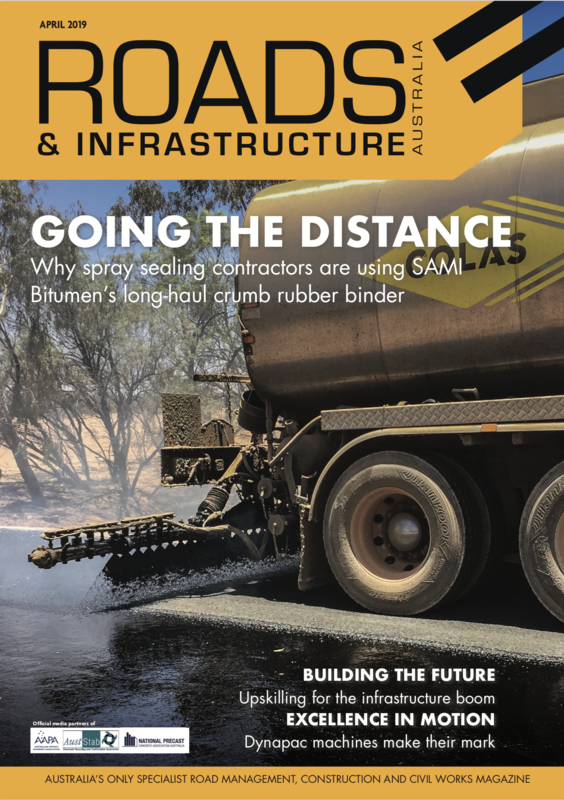 This increase in sensor technology is well timed, given some of the findings from Infrastructure Australia’s comprehensive Australian Infrastructure Audit Report (May 2015), which outlined a number of pressures affecting the nation. The report finds that congestion threatens economic growth and living standards and could cost Australia $53 billion by 2031. Without action, road travel times in the country’s state capitals are expected to increase by at least 20 per cent in the most congested corridors by 2031. It also found on average, the demand for public transport in Australia’s capital cities is set to double over the next 20 years. “We face enormous challenges designing and organising our cities to deal with the negative impacts of climate change, population growth, the potential decrease in energy, food and water security, health and mobility. We also face totally unpredictable disruptions to the nature of work, workplace and home: what will we be doing, and where and how we will be doing it,” explains Prof. Burry. With that in mind, as well as the surge in sensor-based technology, the potential for smart city applications seems almost limitless. Questions around how these technologies and ideas can be turned from concept to reality pose a number of questions, however. How, for instance, can the technology be best optimised to suit their application? How can these smart concepts be used to address issues such as traffic congestion and the impacts of population growth? Swinburne University of Technology’s newly launched Smart Cities Research Institute aims to address those questions. Prof. Burry is the Institute’s Director and says the new facility will explore future scenarios in anticipation for smart city technologies and concepts, and how they may be implemented in Australia. It will work trans-disciplinary with four other institutes at Swinburne, including the Data Science Research Institute, the Iverson Health Innovation Research Institute, the Social Innovation Research Institute and the Manufacturing Futures Research Institute. The aim is to harness these ideas, appropriately and effectively, across myriad sectors. The Institute focuses on four key areas within the development of smart cities, including the future of design and logistics; energy and water distribution; smart homes and workplaces of the future; and new governance – which he says is not just about how to reduce carbon footprints, but what the new models of civic engagement will be. “I think the fourth one will be the most important and where the actual smart city opportunities will emerge,” states Prof. Burry. Some parts of the country are already making big steps in this space. 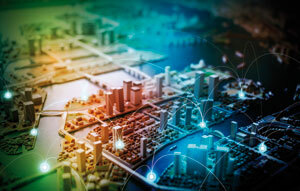 Smartphones are already facilitating the rise of smart city concepts. Prof. Burry says we’re already starting to see the some of these concepts come to fruition in small ways. He exemplifies Melbourne’s tramTRACKER smartphone app – an app that provides real-time tram arrival information to a user’s smartphone, including predicted tram arrival times, disruption updates and information about the city’s tram network. Data gathered from apps such as tramTRACKER can help provide important information to asset mangers and city planners in optimising a city’s services, but also promoting public transport as a service. In short – it helps make the service and city smarter. “Even some of the airport lounges for Air New Zealand give you the option of preordering coffee on your smartphone before you get there,” he adds. Similar to the influx of sensor technology through devices such as smartphones is the increase in autonomous vehicle technology, which may ultimately affect the nature of travel within a smart city. Prof. Burry says the concept of car ownership will start to disappear as autonomous vehicles, as well as other smart city car sharing concepts such as GoGet and Uber come to the fore. He exemplifies the implementation of cruise control – an early concept of vehicular autonomy that became a common feature as time went by. “People think it’s an obvious transition,” he states, agreeing that sometimes technology just merges with our day-to-day lives and becomes business as usual. Like Prof. Burry, Hussein Dia, Associate Professor and Program Leader – Future Urban Mobility, at Swinburne University’s Smart Cities Research Institute, sees a lot of benefits in adopting a smart city approach, particularly for future urban mobility systems. “Australia is considered a leader in intelligent transport systems (ITS), and has long had a number of successful stories in that space, including the SCATS traffic signal control system and the Monash Managed Motorway System. In recent years, there has also been a lot of momentum around harnessing innovation and technology to improve peoples’ access to city services and economic opportunities,” explains Dr. Dia. “There are things we are doing today, or can do today, to harness digital innovations and mobile technologies to help move people around our cities,” he says, exemplifying shared mobility such as car and ride sharing. Like Prof. Burry, the smart citizen is at the centre of solution for Dr. Dia. He agrees that we have a proliferation of smart technologies that can be used to change the way people, products and services move around a city, however, he argues that technology on its own has little value and that we need to identify the appropriate use cases and then harness the right set of technologies to achieve desired mobility outcomes. “It’s not really about the technology. To me, the technology is just a piece of equipment but it’s about how we apply the technology to address pain points and real issues affecting the quality of life in cities,” says Dr. Dia. Melbourne’s RACV has long offered a bike share service, whereon bikes can be hired from designated docking sites around the city. However, as recently as June, Singaporean firm oBike released several hundred of its bikes into the city, which the company asserts on its Australian website to be nation’s first dockless bicycle sharing system. The idea is that using the associated smartphone app, the user can search for and book nearby bikes, unlock them using the phone, and park and lock the bike via smartphone at any location eligible for bicycle parking. “It’s very simple and very convenient, and the idea is you don’t need to take it back to where you found it,” says Dr. Dia. The concept has been rolled out in Singapore, Shanghai and even Copenhagen. “In big cities in China, it costs a few cents an hour to ride around on these bikes. They are also free to use on weekends, making them an inexpensive mode of transport,” he says, adding that it promotes a healthy alternative to other modes of transport too. A similar smart transport concept being trialled in Australia is on-demand public transport. In a trial in NSW, Sydney commuters will soon get the chance to book shuttle buses from or near their homes to a local transport hub as part of a state government trial of on-demand public transport. Dr. Dia says the idea could prove successful for the off-peak, non-commute period, during which existing suburban bus services are usually running their regular routes empty or with very few passengers If successful, they could be a threat to the suburban bus line services during those periods. “This concept has been used in the United States and there’s been high interest in even using their ride-sharing services to replace suburban bus lines. One study shows one local government in the US saved US$40,000 by doing this,” he says. Other than the potential to optimise urban mobility, smart city concepts may have a positive influence on the wider urban supply chain. Dr. Dia exemplifies a concept proposed by one of his peers where they’ve suggested Melbourne’s trams could be utilised within the supply chain. The argument is that, like bus services, the city’s trams are underutilised during the off-peak periods. Dr. Dia’s peer’s suggestion is to trial turning part of the tram into a storage space for goods to be ferried and delivered to the city’s commercial districts using an app. He says sensor-based mapping technology is already helping freight companies monitor where their trucks are, and the need for connected technology between infrastructure and vehicles, such as cooperative ITS, is becoming part of the norm. While both Prof. Burry and Dr. Dia say the smart city concepts boasts many potential benefits in improving social, health, economy-related aspects, there are myriad challenges still to overcome. “I think the private sector and public sector have a role to play here,” states. Dr. Dia. He says driverless vehicles, for instance, need to be planned for and implemented appropriately. “We need a national standard on these when the auto manufacturers bring them and don’t want to deal with different regulations in different states,” says Dr. Dia. The manufacturer’s stance on the ethical dilemma of who to save in an accident is clear, but it raises even more ethical and political issues by doing so. “There is an argument to be made if an accident is about to happen, and the autonomous vehicle has the option to save 10 people rather than just the one in the car, what will the vehicle do? Who is going to decide that – the manufacturer or the regulator?” asks Dr. Dia. He believes partnerships between research organisations and government are important – society needs to be prepared for when this kind of technology arrives. “As a society we need research to ask: what kind of a future we want in a highly automated world, and how do we want these autonomous vehicles to behave?” he states. Prof. Burry, likewise, outlines some hurdles that need to be overcome when implementing these types of new services and smart city concepts into society. “Any service that you present to society needs to take into account previous platforms,” he states. When, for instance, a new app is introduced to smartphones, it requires a certain level of technological capability. It may not necessarily allow for older generational smartphone models to use it. Prof. Burry asserts that older generations of citizens that will never own a smartphone will miss out on the technology, and as such, will be an overlooked member of the smart city. The transition from paper-based services to digital is also a good example of it, but one that in some areas is also slow to be undertaken. Prof. Burry says the New Zealand passport application process compared with Australia’s procedures is an example of ‘lag’ in adopting smart technology. Those applying for New Zealand passports can take the photos themselves and send it in with their application, whereas Australian passport applicants must get their picture taken at an appropriate service provider, such as a post office. Part of Swinburne’s Smart Cities Research Institute’s goal is to establish a national framework for the implementation of smart city concepts. A fruitful first step in achieving that goal came in the form of a roundtable discussion with Federal Minister for Environment Josh Frydenberg and Assistant Minister for Cities and Digital Transformation Angus Taylor. Both ministers toured the university’s new facility earlier this year and took part in a discussion with Prof. Burry and other institute leaders on how to best implement a framework for a smart cities future. “It was a great conversation to investigate the potential for a national approach, and it gave us a strong indication the Federal Government is very interested in progressing it,” he says. He says the Institute wants to help facilitate the smart cities discussion between government, industry and research organisations, and help take it to the next level. “We want to help broker the conversation between different groups and find unique links between their different problems,” says Prof. Burry, adding that any developments in the smart city space need to be tested with the public.